Re: Anybody do Rank bars? 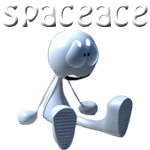 Last edited by spaceace on Tue Feb 26, 2013 10:29 am, edited 2 times in total. Location: Australia..The worlds Largest island. Thanks heaps for these Spaceace. Last edited by Gnome! on Tue Feb 26, 2013 10:29 am, edited 2 times in total. Knows, I have just enough. Enough to make me content, enough to make me want a little more, but if I don't get it, I'll be OK.
Last edited by Mintcopper on Tue Feb 26, 2013 10:29 am, edited 2 times in total. Oh I think you know where the Tech Mech goes!